To RSVP for an event please email us say We will attend this event. Please include how many will be in your party. For a free e-book check out Madign Rules to learn about how Madigan controls everything in the Capitol in Springfield. MOVIE: Madigan Power and Privilege Watch it and share both these links! Want information on who's running in what district? 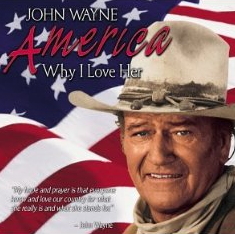 Americans That's Who A Patriotic Tribute can be found on at our page at ROC watchdog on YOUTUBE. Please drop by and LIKE this video, share the link with all your friends! 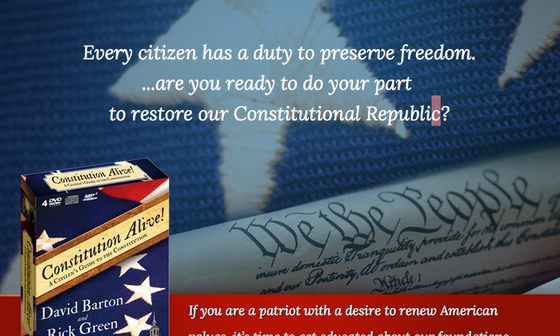 Restore Our Constitution is a group of citizens that love our country! 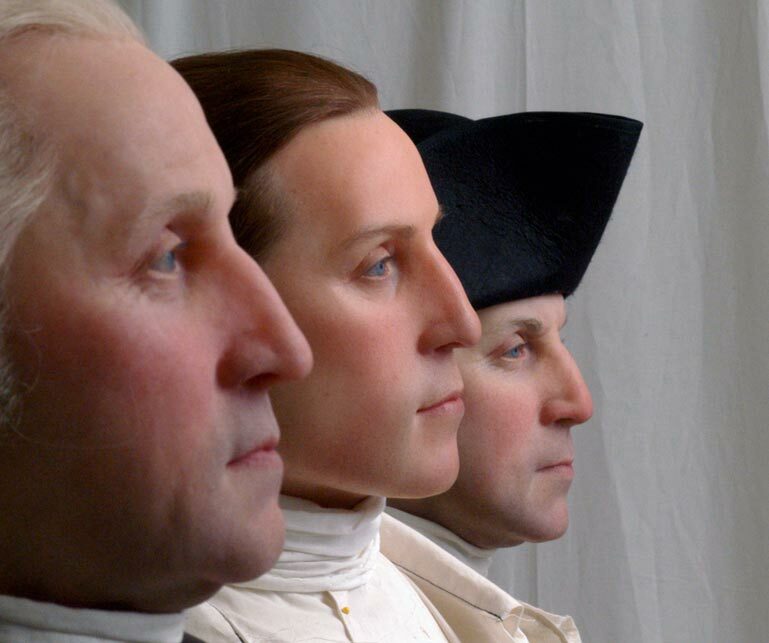 Our focus is the study of the founding of our country, our founding fathers, the Declaration and the Constitution. From time to time we share current news, information on local, state and national issues. On occasion we have guest speakers that talk on a broad rage of subjects. G. H. Meritt Chairman of New Illinois LLC will be in Decatur with a presentation about ‘New Illinois.’ Mrs Merritt will give a detailed slide show presentation. Afterwards she and Representative Brad Halbrook, Representative Darren Bailey and Representative Chris Miller will have a Q&A period . Co Sponsor Representative Dan Caulkins will also be present. "New Illinois" is a nonpartisan, nonprofit organization with the mission of educating Illinois citizens about their RIGHT to seek to form a new state from the State of Illinois and to separate from the tyranny existing there. New Illinois is seeking a state split according to the procedures established in Article IV, Section 3 of the U.S. Constitution, following the West Virginia model. Representatives Halbrook, Bailey, Miller are sponsors of HR0101 which Urges the United States Congress to declare the City of Chicago the 51st state of the United States of America and separate it from the rest of Illinois. This is an opportunity to come out and ask questions about what a ‘New Illinois’ would be so you can be informed about this popular issue. Warning seating is limited so make your plans early, Doors open at 6:00 p.m.
JULY 2018: Guest speaker was WILLIAM J. FEDERER is a nationally known speaker, best-selling author, and president of Amerisearch, Inc., a publishing company dedicated to researching America's noble heritage. Through a combination of public pressure, Freedom of Information filings, lawsuits, and media exposure, they have created a system that deeply threatens Illinois’ corrupt, entrenched political establishment. 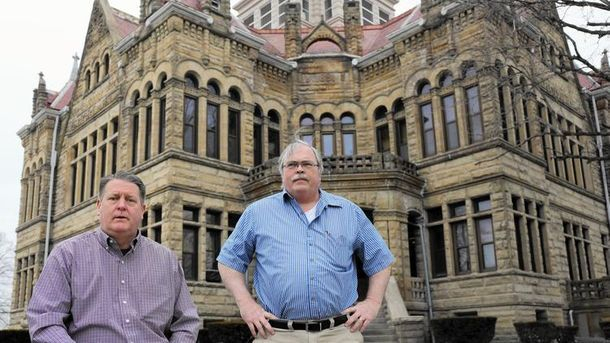 They operate a blog called Illinois Leaks that exposes corruption at the state and local levels. The blog is so popular that, it is trusted more than the local paper. David Barton speaking to an audience about our history, our founding fathers and the electorial college. Photo by Chris Withers Photography ®image is subject to copyright. 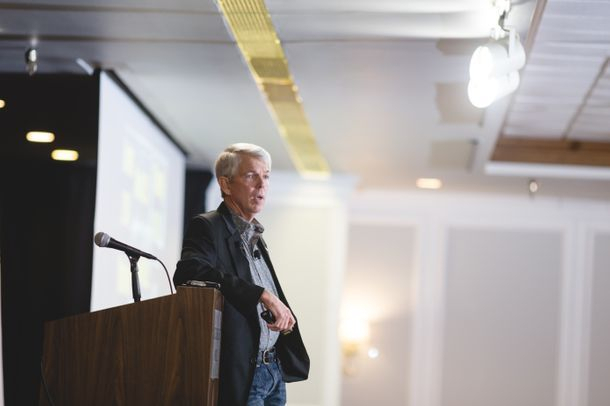 David Barton of Wallbuilders speaking to a crowd of over 600 at the Decatur Conference Center and Hotel on Thursday October 5, 2017. Thanks to all of you it was a tremendous success! DVD’s of the event are for sale at our meetings in limited quainties. History Classes available call 217-422-4533 today! We use Wallbuilders material to study American history. 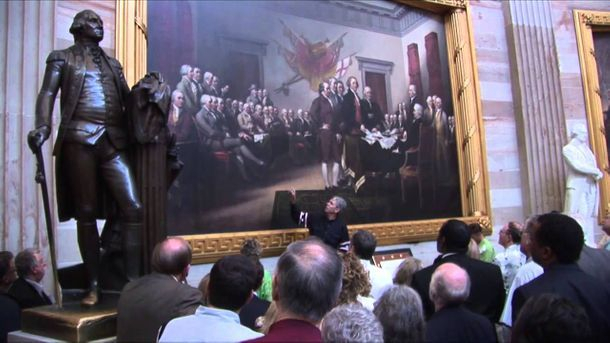 We have history classes using Wallbuilders DVDS featuring David Barton. These classes are in the fall and spring of each year. Spring classes started on Feb 22 and will go until May 10th ever thursday evening at 6:30 p.m. except for MARCH 29TH. Seating is limited. Call 422-4533 for more information. RUSH: Okay. Let me recast this, and you correct me if I get anything wrong. She has four kids, among them some Millennials -- old enough to be Millennials -- and they have been questioning the value of Electoral College. Why doesn't the popular vote matter? It seems like that ought to be the way we elect the president, not state by state. They came up with an idea that we would apportion states like we do in primaries. In the Republican primary, if Trump wins a state, he gets whatever percentage of the delegates in that state according to the vote he got and so forth and so on. Because that would make every state count, you say. What is your Senator or Representatives Liberty Score? 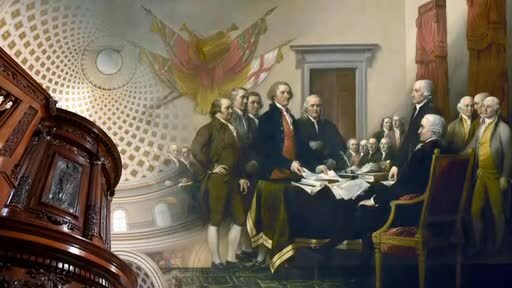 Constitution Week is the commemoration of America's most important document. It is celebrated annually during the week of September 17-23. The DAR has also erected a structure that is built in tribute to the Constitution of the United States. DAR Constitution Hall, which is a performing arts center, opened in 1929. They provide you with talking points and free faxes. Click on Congress, then scroll down to Immigration Grade Cards. We recommend using NumbersUSA on immigration issues above all other sites and statistics. They are the premire site for all things dealing with immigration and amnesty. CLICK HERE to see how your Representative and Senator is voting on the critical issue of immigration. Click on your state. Sign up to send a free fax today. It's fast, its easy! What is the Black Robe Regiment? Dr. Herb Titus on "Natural Born Citizen"
Site has lots of FREE downloads useful in teaching your children about our Constitution! September 17th is Constitution day and constitution week! Read it, learn it here!